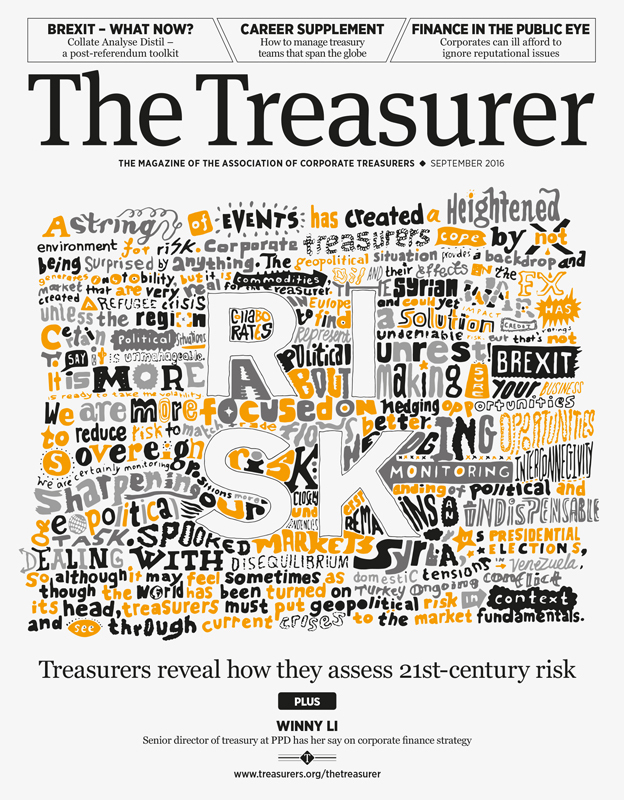 Nick Chaffe produced this stunning cover illustration for The Treasurer Magazine. Nick illustrated various quotes on the industry’s attitude to risk in handcrafted lettering and a bold colour palette to create a striking cover. To see more of Nick’s work, click here. Nick Chaffe is represented by Meiklejohn. Published on 1 February 2017.